Vapor Apparel is a new-age range of customisable performance apparel ready for all forms of decorating. If you need garments to compete in today’s fashion and sports markets then the Basic-T and Vapor Micro Performance lines are a perfect fit. Vapor delivers quality fabrics built with Intera’s PERMANENT moisture wicking and temperature control technology that is built right into the yarn, not a coating applied. Vapor Performance has anti-odour, anti-bacterial and anti-stain properties. It’s very light yet very durable. Built To last - The Vapor Micro Performance styles are made with a revolutionary light yet durable micro fibre fabric. Two needle cover stitch-in-hem and four-thread overlock for extra strength in all hem seams. The Basic-T is a spun poly with the feel of cotton with a double stitched collar which will keep its shape wash after wash.
Ready For Customisation - Garments designed specifically for decorators and designers, every garment is ready for artwork. Vapor Apparel is your ideal performance apparel. 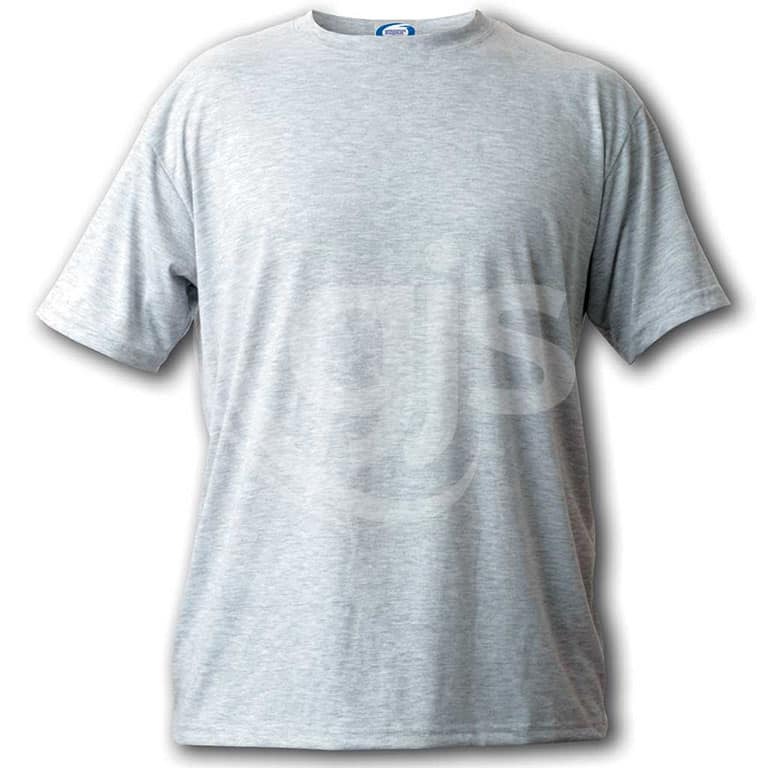 Basic Performance T-shirts look and feel like cotton T’s, but made of performance fabric with built-in superior moisture management, temperature control, anti-bacterial and anti-odour properties. Ordering notes: Shirts are sold individually with volume discounts for when ordered in full packs of 6.